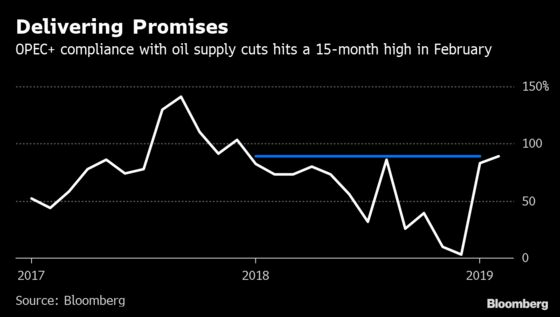 (Bloomberg) -- Saudi Arabia led fellow members of the OPEC+ coalition to reaffirm their commitment to output cuts, but conceded they should defer until June the decision on whether to extend the curbs. 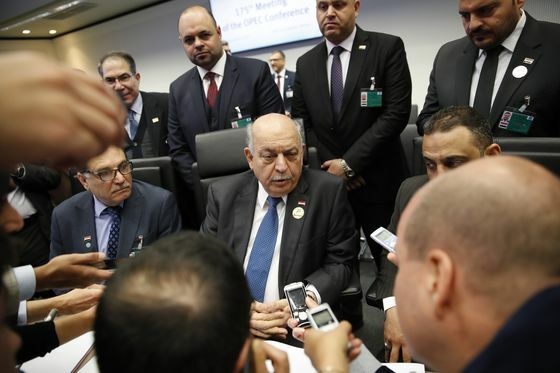 The change in timing, which still needs to be agreed by the wider coalition, reflects what the committee described as “critical uncertainties” in the oil market, with U.S. sanctions threatening to remove significant supplies from Iran and Venezuela. It’s also the latest sign that Russia, not Saudi Arabia, is setting the agenda for a group that controls more than half of global crude production.